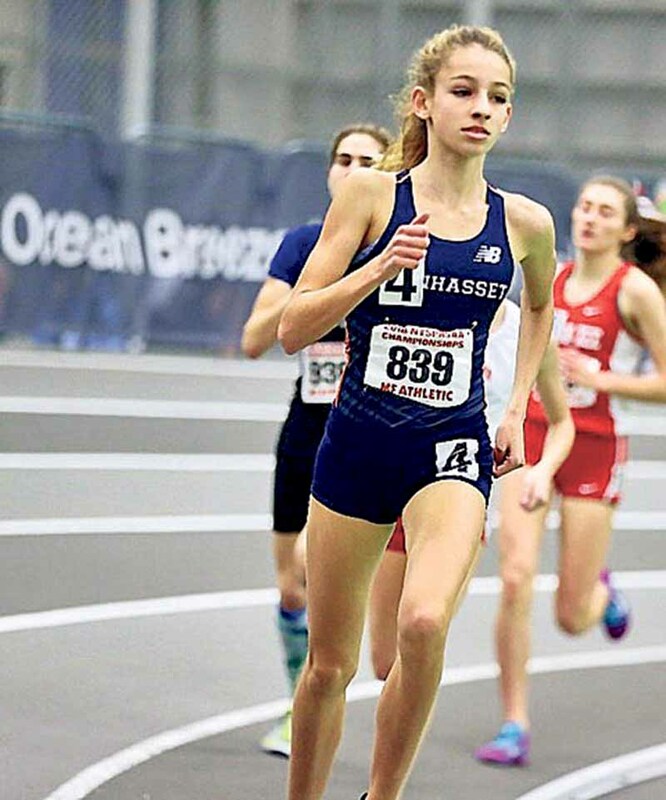 Manhasset High School freshman Angeline Caamano earned All-State honors at the NY State meet. The NYSPHSAA indoor track & field championships were held at the Ocean Breeze athletic complex in Staten Island on March 3. Caamano placed fourth in the NYSPHSAA and sixth overall in the Federation. Her time of 4:41.94 for 1500 meters bettered her previous school record set earlier in the season. Also qualifying for the state championship was the girl’s 4×400 meter relay. 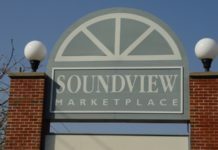 The team members through the state qualifier and the state preliminaries included seniors Marissa LoCurto and Caitlin Cullather, sophomores Ryann Kenny and Madeline Hon, and freshmen Angelina Kapper and Angeline Caamano. The relay placed 14th in the state. It was a stellar season for Caamano, who re-wrote the girls’ record books by putting her name on five new school records this indoor season. In addition to the 1500 meter mark, she set new records for the 1000 meters in 2:55.25, the Mile in 5:12.27 and the 800 meters in 2:19.17. The girls’ 4×800 relay of Caamano, Angela Tsoumpas, Emily Tsoumpas and Ryann Kennybe set a new record with their time of 9:48.33. The Section VIII county championships were held at St. Anthony’s on Feb. 6. All-County honors went to the girls 4×400 meter relay of Marissa LoCurto, Caitlin Cullather, Madeline Hon and Angelina Kapper. Also earning All-County was the girls 4×800 relay of Ryann Kenny, Emma Kelly (sophomore), Sidney Ginsburg (sophomore) and Caamano. Caamano also earned All-County in the 1000 meter run. 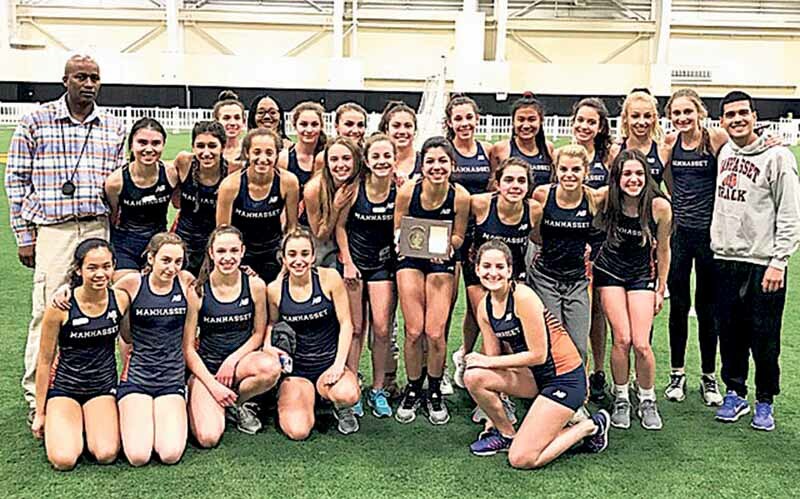 Earlier on Jan. 18, the Manhasset girls winter track and field team captured the Section 8 Conference 3 team title, scoring a decisive victory with 141 points over MacArthur’s 71 points, South Side’s 59, Elmont’s 56 and Garden City’s 52. All-Conference champions were Freshman Olivia Robson, 1500 meter race walk; Angeline Caamano, 1500 meters; and the 4×200 relay of Ava Albanese (senior), Lauren Yun (sophomore), Grace Petersen (freshman) and Juliana Sims (freshman). All-Conference honors also went to seniors Ava Albanese, 55 meter hurdles; Caitlin Cullather, 300 meter dash and long jump; Marissa LoCurto, 55 meter dash and 300 meter dash; Danielle Rozinov, 1500 race walk; junior Jasmine Willis, shot put; and sophomores Elizabeth Cruz, 55 meter hurdles; Madeline Hon, 600 meters and triple jump; Ryann Kenny, 1000 meters; and Angelina Macchio, triple jump.